Berries just make your whole body happy, and bring a bright colorful burst to a morning plate. They just happen to be little powerhouses of nutrients — low in overall sugars, high in phytonutrients, flavonoids, antioxidants and vitamins A,C, and E. They aid skin vibrancy and collagen production, and are rich in resveratrol (and resveratrol is reported to be good for heart health, cancer, Alzheimer’s, cognitive function, and weight loss (even ED)). Because You Asked: Berries have been shown to reduce markers associated with tumor growth in animals and people with several types of cancer — it’s reported that consuming just 10oz a day can help preserve your DNA. 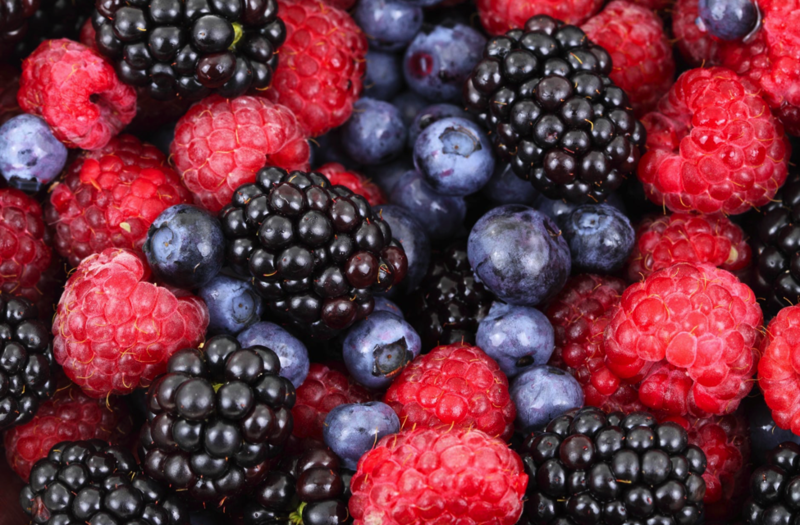 So let’s take a closer look behind what makes seven popular berries so amazing! Blueberry That deep blue correlates with high amounts of phytonutrients — which are excellent at neutralizing cellular-level free-radical damage. In case you want to look younger, blueberries keep your collagen matrix from deteriorating (collagen break-down causes wrinkles). A 2008 study from Tufts University places blueberries at the top of their list of natural antioxidants — out of fifty common fruits and vegetables. So, go ahead and toss some blueberries in your blender (or juicer)! Strawberry Rich in vitamin C, strawberries provide a great immunity boost! They also reduce hyperacidity — and so are great for fighting gout and reducing uric acid build-up. Strawberries are rich in folate, iodine, quercitin, and kaempferol plus many more flavonoids. In a 30 day experiment, participants who took in 17oz of strawberry pulp daily benefited from a nearly 40% in oxidant markers! Wow! This makes them potential cancer preventers, and brain function enhancers. Why not try a few before reading or studying, or toss them into the blender!? Cranberry Famous for making thanksgiving table memories, cranberries notably contain a type of sugar that wipes out bacterial infections in the urinary tract. And, interestingly, native North Americans drank cranberry juice to treat bladder and kidney diseases. Cranberries additional benefits are linked to cancer prevention, immune boosting, and lower blood pressure. There is a WARNING though: many dried cranberries sold in grocery stores contain loads of sugar or corn-syrup which can negate cranberries’ positive benefits! So, juicing them just makes sense! Raspberry & Black Berry – Next to blueberries and pomegranates, blackberries and raspberries have the highest antioxidant activity of commonly consumed fruits. Anthocyanin is the pigment responsible for the deep red, purple, and blue colors in blackberries, blueberries, cranberries, raspberries, and strawberries, and is a powerful antioxidant that mitigates free-radical damage, and in particular free-radical damage to your skin. Think about that the next time you’re headed to the pool or beach! Acai Berry Acai pronounced “ah-sah-ee,” is a small purple-black berry native to the rainforests and jungles of South America. And even though they’ve seen an explosion in popularity in the last decade, they’re very hard to source fresh (which is why you’ll usually see them in a powdered form). Like many of the other berries, Acai has a high antioxidant composition. It’s also a source of glutathione (linked to cancer prevention, detoxification, improving psoriasis, and insulin resistance). Another study involving found that acai worked to increase the total antioxidant capacity in the blood plasma, dramatically reducing exercise-induced muscle damage, as well as improvements in cholesterol and triglycerides. Amla Berry (a/k/a Amalaki, Malacca, or Indian Gooseberry) is packed with vitamin C on the planet . Like Acai, it’s almost impossible to find fresh, but you can find it in powder form. In India, they have been considered a super-food for millennia as an anti-aging marvel. 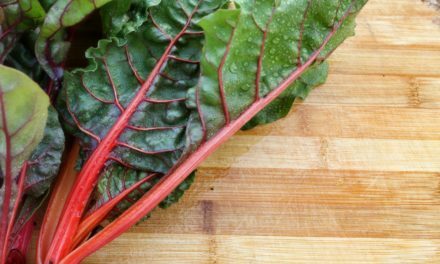 Additionally, this super food increases the absorption rate of nutrients — particularly iron and calcium — balances stomach acid, strengthens and defends the liver, nourishes the brain, and loves on your heart. Added to honey, it’s great for your eyes (click on the link to find out why! ), and is used in India to grow hair, prevent greying and firm the skin. Amlas taste sweet, and so its powder-form mixes well with any juice! So, let’s hear it for berries! They’re ‘living proof’ that some things that taste sweet and good can also be great for you! 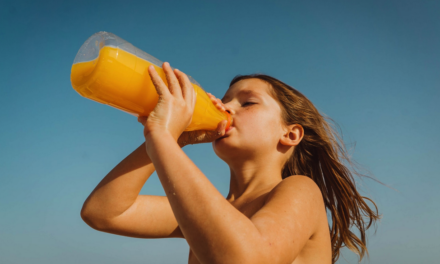 The juice does not kill the bacteria, but rather “… offer[s] more hydration and possibly wash[es] bacteria [away] … ” says, Dr. Timothy Boone, PhD, from Texas A&M Health Science Center College of Medicine. 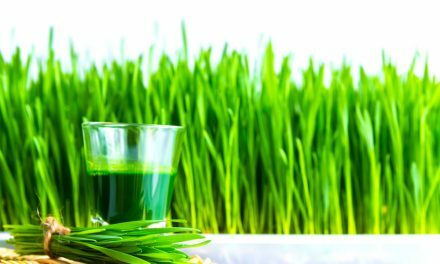 NextTypes Of Juicers: Cold Press vs Masticating vs Centrifugal Juicers: Which Is Right for You?